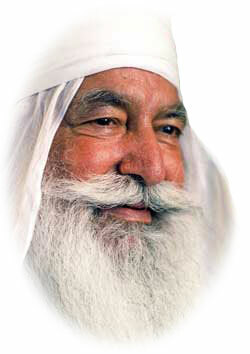 Baba Virsa Singh, Internationally renowned spiritual leader, founder and preceptor of Gobind Sadan passes away. His Holiness Baba Virsa Singh, beloved founder and preceptor of Gobind Sadan, left this world on Monday morning, 24th, December to continue His battle for Goodness on another plane. Throughout His life on this earth, Babaji was an outspoken defender of Truth and Dharma, Healer and Spiritual teacher of countless individuals throughout the world, uplifter of the poor and weak, counsel for justice to those in power, and incomparable peacemaker. While the entire Gobind Sadan family is united in grief, we continue to be uplifted by Babaji’s spiritual presence and legacy. Great spiritual beings are not limited by their bodily presence, and we know He is always with us. We are all committed to carry forth his mission of love and uplift for all humanity throughout the world. Please share how Babaji touched your life. It is our hope to be able to compile your comments into a beautiful book in His memory.